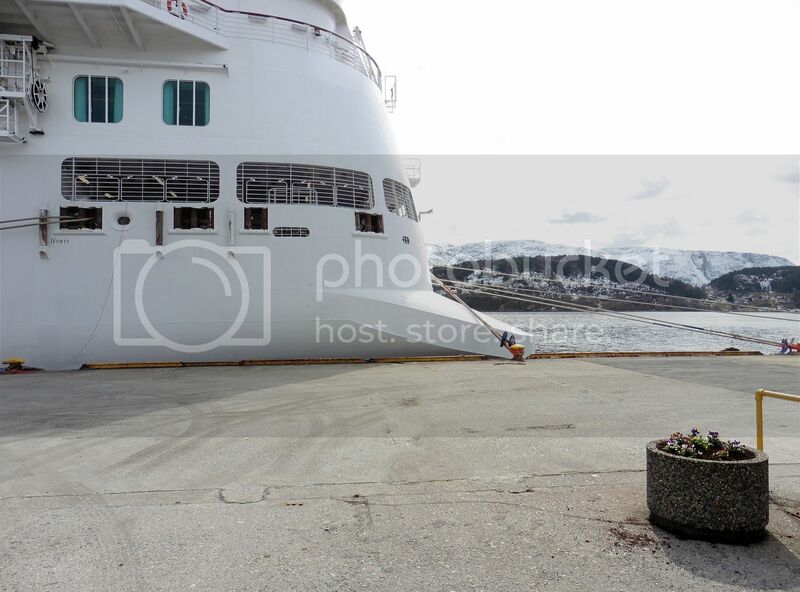 "Magellan" is the first cruise ship to Tromsø this season. 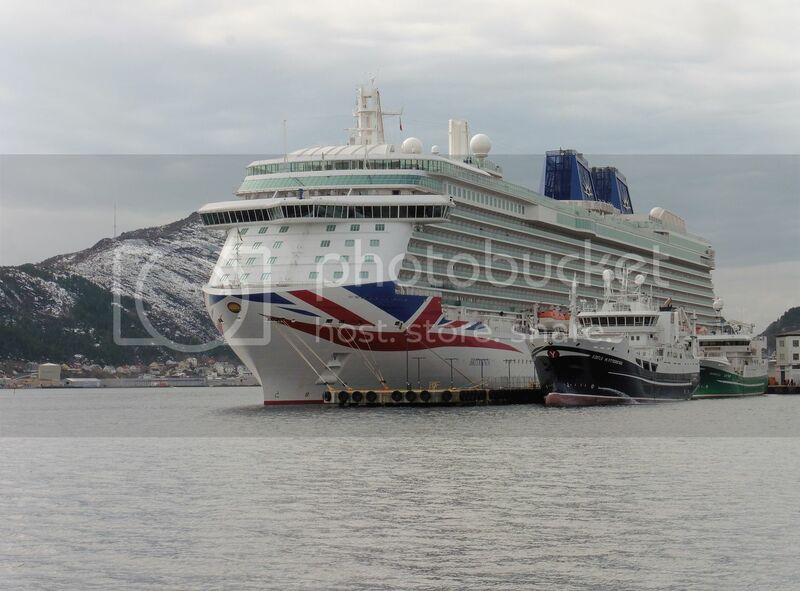 Love the stern view one. Thank you for these beautiful pictures. 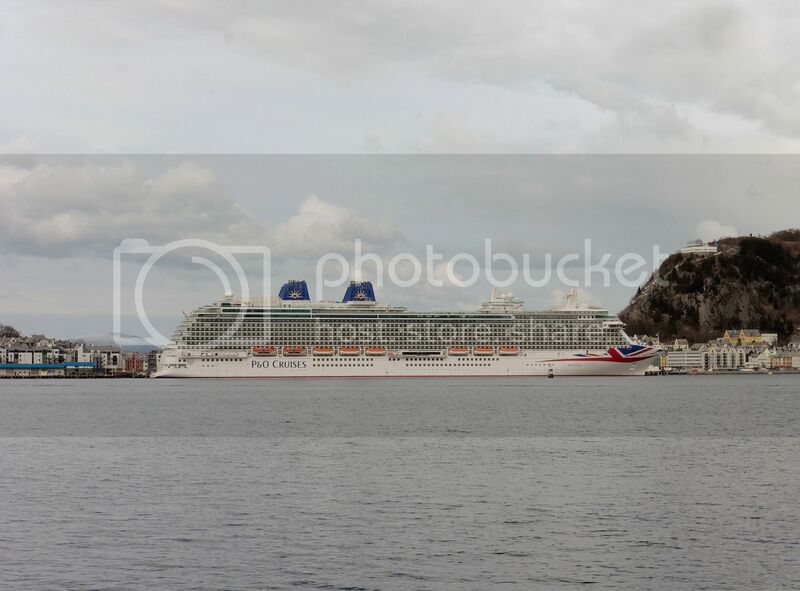 One of the ships and cruise companies, which are quite interesting, if you look at the ships and the destinations. I especially like the photo #4 just before we sailed- in the evening. Oh, you were on board? Nice - and good to have an engagement already at this time of the year! Yes Ralf. We really like a February cruise and this one was very good. Crossing the North Sea back to London was calm too. That evening shot of Magellan is VERY APPEALING to me! Well done. 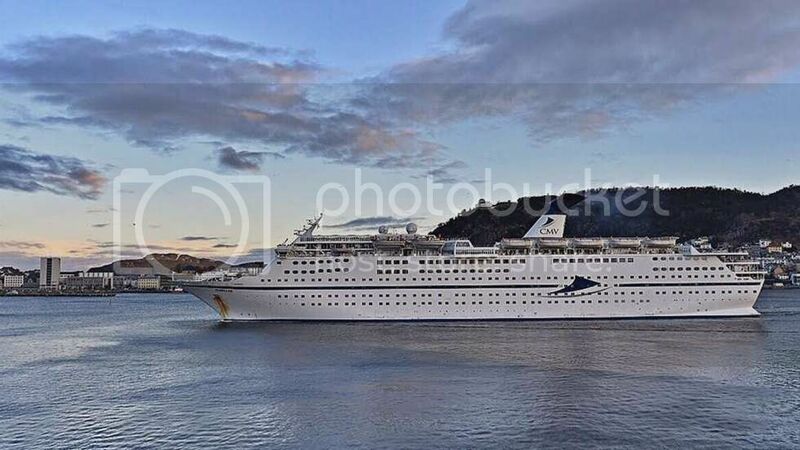 I saw last week at Molde, there was a cruiseship too... it could have been the Magellan but from what I could see, it looked like the Saga Sapphire perhaps. 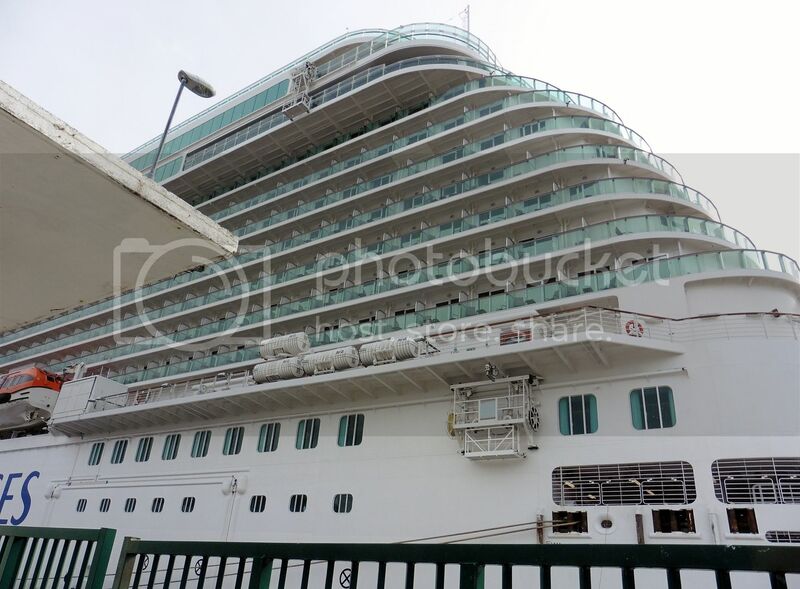 It is also the first call here for this near new ship. Brannsproyta is bound to be there. 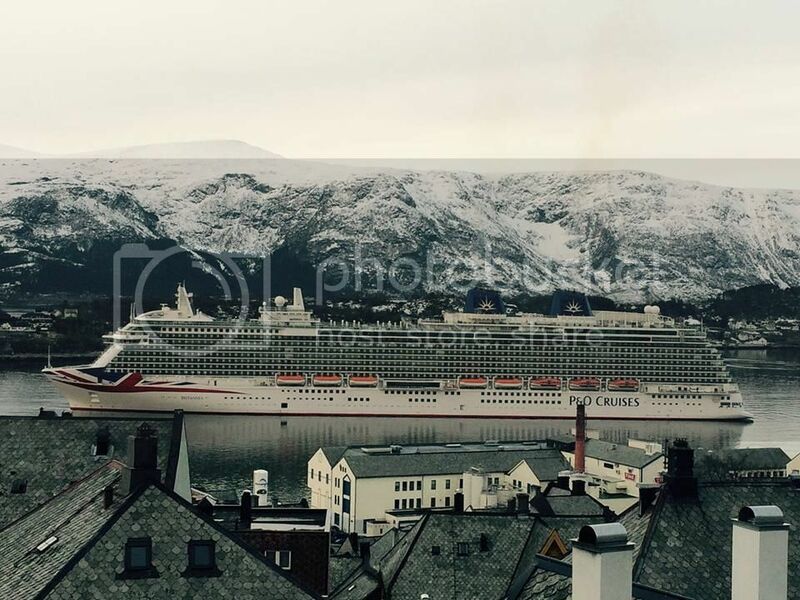 Perhaps the only hotel that's open in Ålesund tomorrow is the big, white, floaty one with a flag on the front?!! 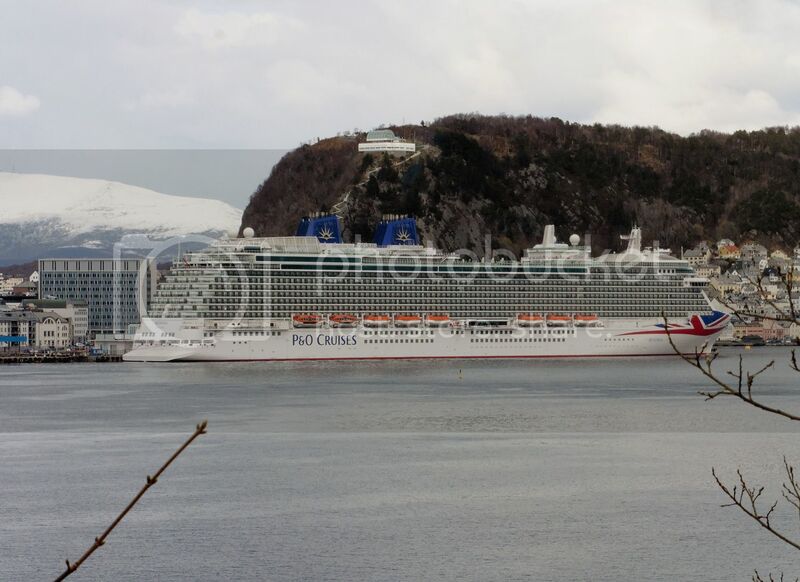 (Big hotel and restaurant strike on in Norway this week - for once in our lives we went there the right week!). Why strike on this week? Interresting,interresting.But Norwegians are a bit shy.In France we have that each month!!! 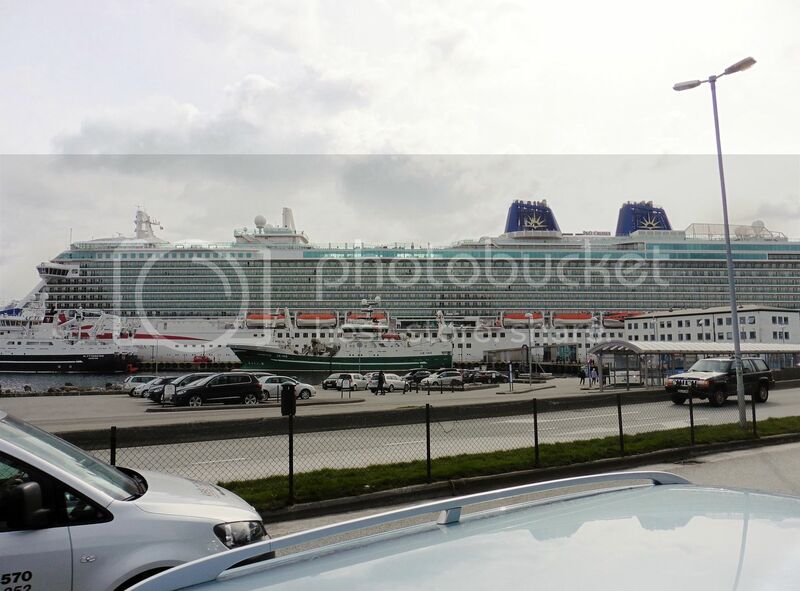 Impressive photos Ombugge. 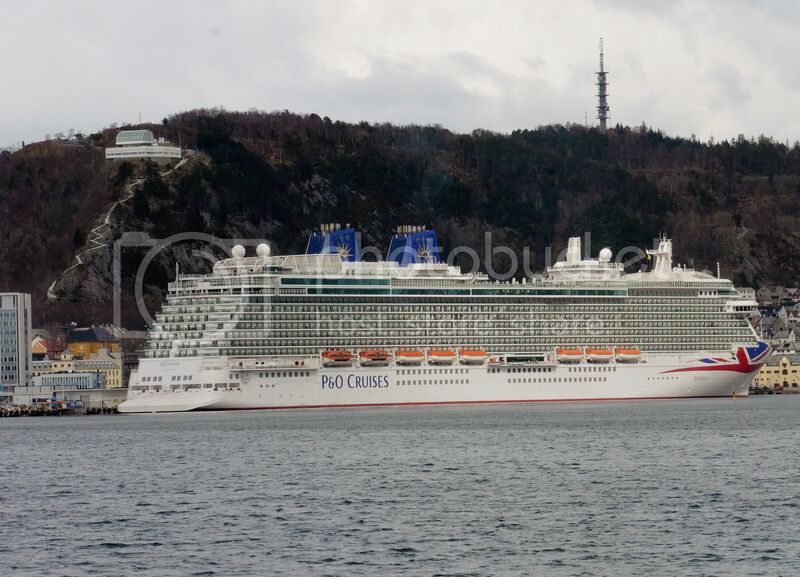 There have been (and still are) prettier P&O boats to my mind! That is all folks, but I'm sure we will see more of this one soon. I don't intend to offend anyone but she looks like a very large prison full of offenders of some kind. 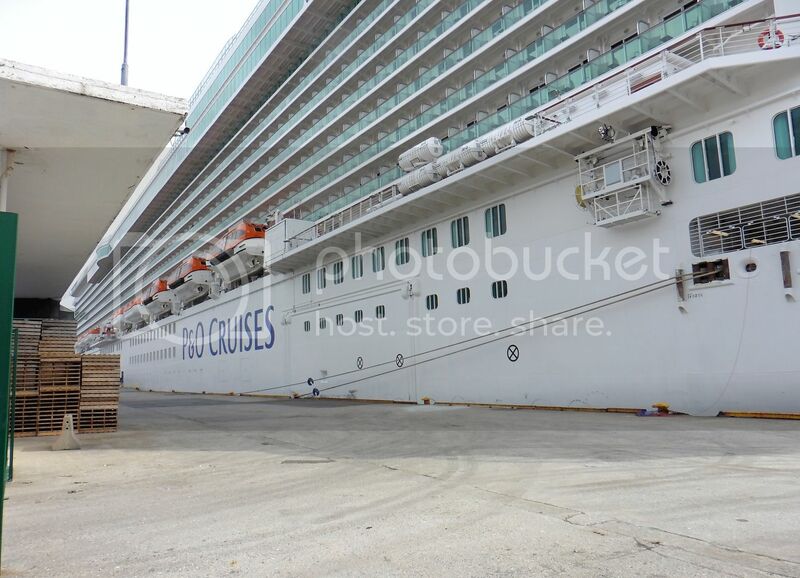 Sailor's proverb: Never try to navigate aboard a outskirt building! 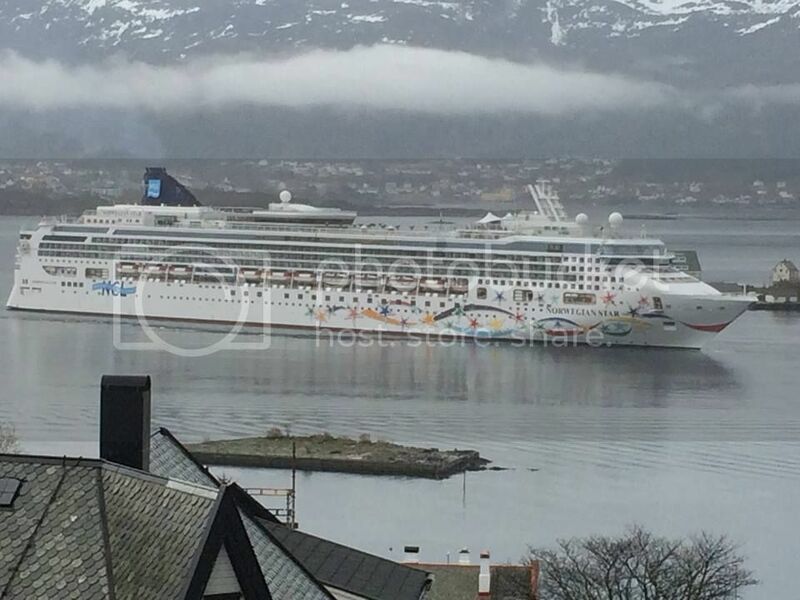 what is this ,this duck tail design.every cruise vessel had it. ​it should have there pro,but what? 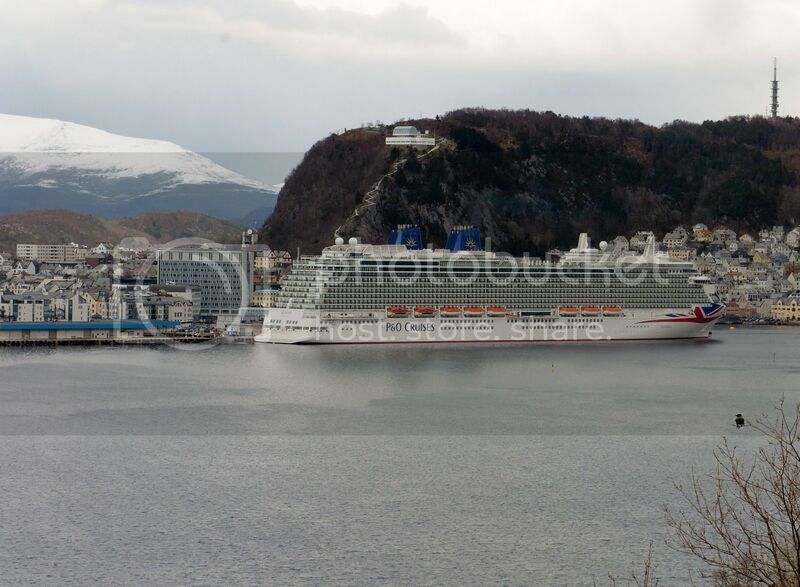 Today there are two Cruise ships in Aalesund for the first time this year to date. 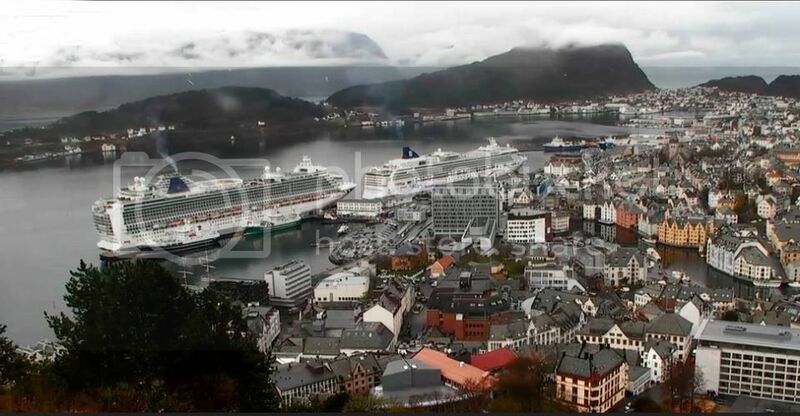 Since I have not been in town, this is also from Aalesund Havn. 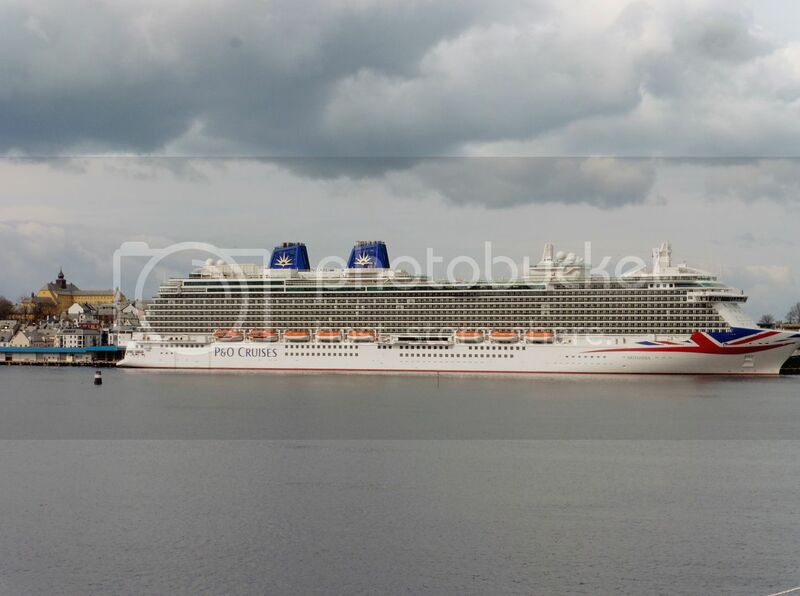 She was intended for Star Cruises, as can be seen from the hull "art". Last edited by ombugge; May 4th, 2016, 12:23.